U.S. Open first round disaster: Andy Murray says the Grand Slam retirement problem needs a fix. A record number of retirements turned the U.S. Open first round into a joke. 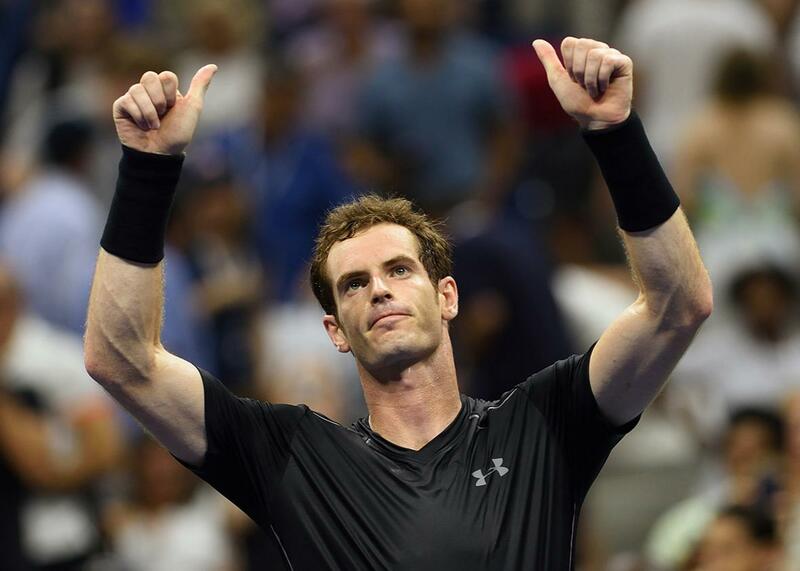 Not retiring: Andy Murray of Great Britain salutes the crowd after his win over Nick Kyrgios of Australia during their U.S. Open 2015 first-round men’s singles match on Sept. 1, 2015, in New York City. If there’s one takeaway from the recently concluded first round of the U.S. Open, it’s this: There’s a huge gulf between the very top players and everyone else, and that disparity is doing real damage to the sport. An unprecedented total of 12 retirements took place in the first round alone. This catastrophe was highlighted by the spectacle of top-ranked Serena Williams’ “victory” over the clearly hobbled Russian player Vitalia Diatchenko, who retired early in the second set—without winning a single game. It turned out that Diatchenko had injured her foot during warmups and was basically unable to play. So why did she and other injured players even take the court? For the prize money, of course. Just by stepping on the court to start the match, Diatchenko brought in $39,500 in first-round earnings. That’s a big chunk of the 86th-ranked player’s total year-to-date income. At least some of the other “retirees” were surely motivated by the same consideration, and it’s hard to blame them. Even superstar Andy Murray, who hasn’t lived paycheck to paycheck in years—unlike so many other pro players—argued that something needs to be done to avoid situations like the Diatchenko fiasco. Had he been a fan who’d “paid money to watch that,” said Murray, “I would be annoyed.” Murray’s solution would be to award the prize money to the retiring player even if he or she didn’t start the match. Murray’s plan apparently, though, doesn’t consider the replacement player (a “lucky loser” from the qualifying rounds). Darren Cahill, a thoughtful ESPN tennis commentator, suggested a solution for that problem: giving the injured player the lion’s share of the prize money (he threw out 70 percent as a ballpark figure), while the replacement player would take home the rest. These proposals are much better than the current situation. But why not just give both players the full first-round payment? The U.S. Open, given its total purse of more than $33 million, can easily afford the extra few hundred grand, at most, that it would have to pay out. Doing so would create no problems of fairness or incentive, either. No player would retire unless he or she were really injured, with the money and exposure from one of the four Grand Slam events of tennis being too high of stakes for any potential malingerers. The “lucky losers,” meanwhile, would end up in the first round of the tournament, and would deserve to be paid like everyone else for competing. That’s great, if you happen to be a top player. As for the others, if they do make it through the first few rounds and into the comfort of Ashe, they’ll start with less energy than their higher-ranked, better-accommodated opponents. As ESPN’s Chris Fowler said, it’s like there are two tournaments. This vast inequality creates other problems, too. Since everything these days is now the subject of robust online betting, lower-ranked players have a financial incentive to throw matches for cash. As Ben Rothenberg wrote in Slate earlier this year, “the money the players earn for playing in the lower tiers of tennis is dwarfed by the money at stake for bettors.” When you stand to win only about $1,000 at one of the Challenger-level events, the temptation to cheat must be hard to resist. Some of this disparity is unavoidable. Given that the total prize money in tennis is much less than in other sports, there’s only so much money to go around. Some courts have electronic line-calling, others don’t. Some players get to play in fancy stadiums shielded from the elements (and from the reality of life on the tour for most players), while others toil in the New York sun. But the tour’s poobahs could be doing much more to make the lives of lower-ranked players better, and thus improve the quality of play for everyone. They can start with a simple fix to the first-round retirement problem. Then they can think carefully about how better to divide the pool of money available to players at all levels, providing enough for a reasonable living for at least the top couple hundred players. As it stands now, tennis’ match-fixing problem is baked in to its prize structure. That’s not good for anyone—in the long run, not even for those few players who occupy the penthouse.